(VEN) - Philips Lighting N.V officially renamed it Signify on May 16, 2018. The renaming is considered a further development step of the world’s leading lighting company after it separated from the Philips Group in May 2016 to become an independent operator. Antonio Espada Cid, General Director of Signify in Vietnam, said with this change in its name, the company targets new heights in the future. Signify is the new name of Philips Lighting, a world leader in integrated LED lighting, including entire systems, software and services. While the company has a new name, its product brand - Philips - remains unchanged, as Philips has become one of the most popular and trusted electronic brands in the world, which is associated with a lot of inventions and breakthroughs created by the group over the past century plus. Through a copyright agreement with the Royal Philips Group, Signify expects the renaming will be done in all concerned countries in early 2019. 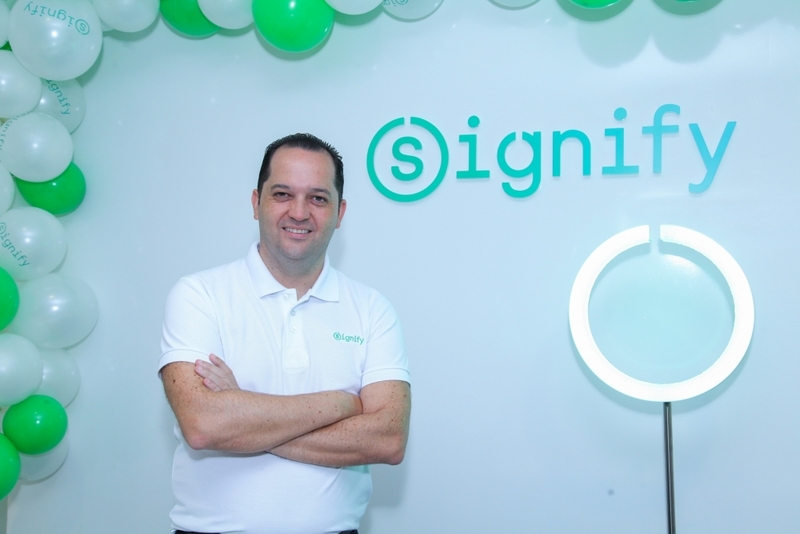 General Director of Signify in Vietnam Antonio Espada Cid said that with a continuing innovation spirit, the company’s renaming decision comes from a concept “light becomes a smart language that connects subjects and sends messages especially in the era of IoT (Internet of Things)”. It is a clear expression of the company’s vision and strategy as well as its commitment to bringing innovative lighting solutions to improve the quality of life. In addition, the new name is unique and easy to remember, he said. With its renaming, Signify has reaffirmed its strong determination in exploring the extraordinary potential of light for a brighter life and a better world. The meaning of the new name is compliant with Philips Lighting’s longstanding heritage values while meeting requirements of a modern, international company with a great purpose like Signify. Talking about the company’s after-renaming plan, Antonio Espada Cid said the company will continue to maintain its world leading position in connected LED lighting products, systems and services. Signify will continue to use IoT in the four main product categories for special use and residential lighting. In particular, Signify will focus on integrating the company’s extensive expertise and experience in the field of lighting with cloud computing, data analysis and software applications. Besides, Signify continues to support community projects by change to increase access to light and create brighter futures in off-grid communities. We’ve designed a range of solar lanterns and home lighting systems that enable off-grid communities to access safe, renewable lighting after dark. With this technology, social and business life no longer has to stop when the sun goes down. Light becomes a catalyst for recreation, productivity and economic growth. Recently, one of the community projects is completed at Cambodia. Kampong Thom is a poor village in Cambodia. People live without electricity. A small Signify team from Vietnam came to the village to give 534 households in seven villages solar lighting solution that impacted to 20,851 people who are living with very difficult condition. By these projects we received the lesson of sharing among human beings, we received the lesson how to make life meaningful. Many families who can’t obtain or afford electric light instead burn coal, wood, kerosene or candles for illumination. These fuels can be costly and dangerous - 1.5 million people die annually from using kerosene lamps, which cause fires and respiratory illnesses. The mission of the Foundation is to enable sustainable access to light to underserved communities. Our projects promote the use of clean technology based lighting systems that address the entire spectrum of lighting needs of a community. These could be home lighting, institutional lighting, public lighting and lighting for emergency relief. By mapping the access to light value chain and identifying barriers in key activities like manufacturing, distribution, affordability and sustainability, we inform our strategy and choice of partners & projects. Working with NGOs and communities around the world, we’re bringing electric light to the places it is needed the most. And by sharing our expertise on the role of lighting in accelerating energy efficiency, we’re helping to protect our environment. 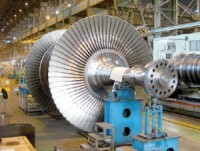 In particular, products of the new generation continue to be improved in terms of light quality, safety, longevity, and usability and replacement possibility, among others. General Director Antonio Espada Cid said sustainable development is a Signify’s goal. Signify’s targets are to realize the prominent lighting potential for brighter lives and a better world. By changing the way to create and use light, Signify can improve lives and make a positive impact on the planet, he said. 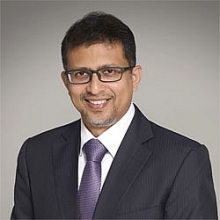 Over the past 125 years plus, Signify has pioneered and created significant breakthroughs in sustainable lighting, becoming a driving force for many leading technology innovations including LED, the general director said.